Some prospective and facts about the online gambling casinos. Online casinos are gaining popularity worldwide and changing the way people gamble. With online gaming casinos’ ease of access, massive quantities of available sites, and incredible variety of games to play, they’re opening the exotic world of gambling to more people and appealing to a new kind of player. With the increased popularity, there are many people who are gambling in a virtual world for the very first time. If you are just starting out, following 10 top tips and tricks for online casino players will help you make the most of your virtual gambling experience. The desire for challenge and the thrill of winning that drives gaming are thousands of years old and won’t ever change. However, the systems directing gaming do change, and technology is bringing innovation to online casinos. Gambling is as old as civilization. Ancient Egyptians, Romans, and Greeks gambled with dice. Gaming tiles found in China date back to around 5000 BC. The spirit of ancient games exists today but in a completely different format. The Internet brought the excitement, colors, and sounds of online casinos to laptops and mobile devices. Virtual casinos first appeared in the mid-90s and became a billion-dollar niche by the early 2000s. Live-dealer casinos launched in 2003, bringing a real-life setting to computers worldwide. As new technologies continue to develop, new games, styles of play, and ways to get paid continue improving. 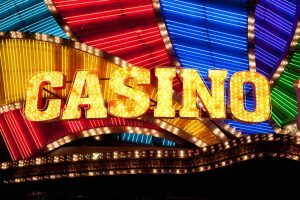 New online casinos will face reduced barriers to entry thanks in large part to blockchain technology. The expense of setting up an infrastructure will be reduced, since fewer servers and databases will be needed to handle the traffic to a popular site. House Edge? What House Edge? The push is on to create casinos where the mysteries of the differences in the house advantage are stripped away and the players know the odds for all the games. Want to try a casino with zero house edge? Try Zeroedge.bet. The company is gambling that players will flock to its network and use the site’s in-house currency Zerocoin. Typically, old-school online casinos have operated much like traditional brick-and-mortar shops that profit when players lose their bets. With their new approach, Zeroedge intends to make the cryptocurrency more valuable and profit from something other than a player’s losses. Just like websites overall have evolved, so have online casinos. The flashy music and cacophonous noise of the early to mid-2000s have faded away to a more minimalist approach: make the content real and accessible and dump the distracting graphics. A generation of new, high-income millennial players is willing to gamble on games that test their skills and aren’t just pure chance – and today’s player likes to play on their mobile device.Industry estimates state that in 2019 more than 200 million people will use their mobile phones to play in online casinos, and mobile gaming will continue to grow beyond that. Improvements in internet speed and quality have made Live Dealer games convenient to access and realistic to play. Streaming Live Dealers have come closer and closer to the experience of being in front of and interacting with a live dealer in a brick and mortar casino. In this age of on-demand entertainment, online casinos have created a live experience that can be had anywhere and at any time. A few years old and growing rapidly, virtual reality on online casinos is another new way veteran players and newcomers alike are experiencing gaming. Simply put on a headset and you can immerse yourself in a live-streaming game. Beginners can use virtual reality to try out various games before placing actual bets in order to win money. Taking the experience into even greater reality, artificial intelligence and sophisticated software can combine with virtual reality to learn the habits and desires of individual players, allowing casinos to customize the play into any players’ preferred gaming experience. Voice-enabled betting makes the experience even more interactive and “real.” Natural Language Interaction technology already has been used to pick winners in sports matches such as football games. In casinos, players can make their bets, confirm them, and then place them using voice commands. Technology gaming companies like FunFair and Truegame now allow operators to use cryptocurrency instead of credit cards when they want to maintain some anonymity. Increasing security and eliminating risk of divulging personal information. Speeding up play because transactions are processed immediately. Claiming bonus money is fast and easy. Casinos won’t have to confirm a customer’s identification. Concerns are diminished over fraudulent activities like money laundering. Smart contracts will grow in usage, with terms and conditions built into the code. These can be used with games ranging from slot machines to the roulette table.